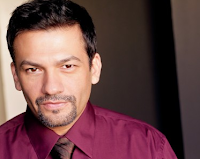 David Barrera is an American actor best known for his latest role as Gunnery Sgt. Ray ‘Casey Kasem’ Griego in Generation Kill. He has appeared in several television series including Heroes, CSI: Miami, Boston Legal,Medium, Nip/Tuck, Without a Trace, The West Wing and 24 for which he was nominated for an ALMA award as best actor.The most recent film in which Barrera can be seen is Universal’s family comedy Evan Almighty. He worked on films like Infinity, No Way Back and The United States of Leland. Barrera guest starred in the episode ‘Alex Gives Up’ in a Disney Channel Original Series live-action sitcom, Wizards of Waverly Place – a series in which his wife, Maria, is a star player. David Barrera was born and raised in San Juan, Texas and was the seventh of eight children. He attended Pharr-San Juan-Alamo High School, where he was involved in Theater. He received his BFA from Southern Methodist University on a theater scholarship. He went on to receive his MFA from The University of California, San Diego, where he garnered a San Diego Fellowship and was awarded The Princess Grace Acting Scholarship in his third year. While at UCSD, he was trained in and worked on several classical works of theater. He also did an internship at the prestigious La Jolla Playhouse and at Luis Valdez’ El Teatro Campesino. David is married to actress Maria Canals Barrera with whom he has two daughters. Tell us about your family and growing up in Texas. What did your parents do and how was it growing up with seven siblings? How does your upbringing inform your work as an adult? DB: I grew up in deep San Juan, Texas in an area of Southern Texas known as the Rio Grande Valley. I was born into a migrant farm working family of eight children. My family stopped traveling up north to work in the fields when I was around six or seven years old. This was a decision my mom made because it was hurting our education to be pulled out of school early in the summer and get back late for school in the fall. Although my family was of modest means, I remember a lot of laughter and good times. My dad later became a Jack-of-all-trades. He built houses and sold them for a while. He would buy and sell cars from time to time and had his own little lot for a bit. My mom was a lay-midwife (delivered babies) for most of her life. It was fantastic growing up in such a big family. We didn’t need anybody else. We had each other and friends were just icing on the cake. I think my upbringing informed my adult life in that I learned what hard work was from seeing my brothers and sisters working so hard from an early age. It also solidified the importance of family for me. Family comes first. DB: My greatest supporters were my parents and my family. They would support me in all my shows or the sports I participated in. They were my biggest fans. This gave me a lot of confidence in what I could do. I never saw failure as an option. I don’t think I ever had any ‘nay sayers’ - not any I could remember. I mean, you always run into people who are sometimes jealous of your accomplishment, that is natural, but I was always taught to ignore them and move forward. What was it in your childhood that steered you towards the Arts? What was your first performance like? DB: From my earliest years, growing up in a big family that loved to make each other laugh, I always enjoyed making other people laugh. It brought me great joy to tell jokes and be funny. That is where my want to perform was born. I remember when tryouts for the “creative dramatics” team came around in sixth grade, I jumped at the chance. I saw it as a chance to be funny in an environment where teachers did not tell you to stop talking. They encouraged it. I loved it! I then moved on into a high school that had a very strong theater department and was able to hone my passion into a more regular practice of my art. My first performance was exhilarating. It was at a “creative dramatics” competition in sixth grade against other elementary schools. Our team was very nervous, but we soon realized to just take the bull by the horns and perform. Very empowering. We placed sixth out of six schools, but it was a start. Ha! Ha! When, and under what circumstances, did you know that you wanted to be an artist? DB: I always knew I wanted to be and actor. I think a lot of kids have that dream, but it wasn’t until I was in college that I realized that it was actually possible. I realized that my belief that you are either really famous or a miserable failure was false. I realized you could be a working actor and make a decent living without the greater population knowing who you were. That seemed attainable to me. I went for it. What was the reaction of your family when you decided to become involved in theater in high school? For Latino males, isn’t acting a nontraditional vocational choice? What kind of productions were you involved in? DB: My family was very supportive. They loved it. We came from a family that had some singers in it. My mom sang at local shows when she was young and won competitions. For a while my parents had a singing ministry where they sang at various churches. Performing was kind of in our blood. It was never seen as a negative. Plus, the high school I went to was very successful across the state of Texas in drama competitions and because I grew up next to the Mexican border, most of us were Hispanic. Our community loved it. People would drive three or four hours to come see us compete at some of the One-Act Play competitions. It was always a plus. What was the dream back then? DB: The dream has always been to be a successful actor. To me that means working regularly and supporting yourself and your family from your art and enjoying the process of that. I have a very blue collar approach to it. I love to work. I work very hard and love getting chances to work. I love what I do. Tell us how you earned your scholarship to Southern Methodist University in Dallas. What were some of the highs and lows during your college years at SMU? DB: In my senior year of high school, three of us seniors were selected to go to a theater conference in Austin and perform audition monologues for all the colleges in Texas. You had to do a comedy monologue and dramatic monologue. After everyone had performed, we found out what colleges had called us back for an interview to see if we wanted to attend their university. I got a callback from a bunch of schools. I remember the University of Texas called me back and offered me a $500 dollar scholarship and I was ecstatic! I was a poor kid, so $500 was a lot of money to me. Well, then SMU called me back and I had no idea what a respected program they had. All I knew was that Eric Dickerson had played football there. It’s the best program in the state and one of the best in the country. They offered me a full ride and I just about passed out. Needless to say, I passed on UT and attended SMU. The highs were being a part of such a prestigious professional actor training program. I was performing in plays with really talented class mates; growing and maturing in my craft. It was a student actors dream. The lows were being away from my family. I’ve always been very strong, but that was hard for me. It’s clear across the state, and Texas is huge! Ha! Ha! But, I grew from that experience as well. With the backing of my family, I became very independent and able to adapt to any environment. What circumstances led to attaining an MFA from UC San Diego? Did you want to teach? DB: In my senior year at SMU, a few of us were going to move to Chicago and start a theater company. I had no intention of going to grad school. One of my professors persuaded me to audition for at least a few of the more respected schools: Yale, NYU, UCSD. I did and was accepted at UCSD where I was offered a full ride plus a stipend to live on. I figured there was no way I could turn down such a wonderful program that was very respected in the professional world. I decided to go. It was a great decision. I got more great training and, through the showcases my class did in NY and LA, I landed my LA agent before I even moved here. I’m so glad I went there. I never had the intention of teaching. I always wanted to act professionally. How important is it for Latinos in the arts to have advanced degrees? DB: The degree doesn’t matter to anyone in the business. They couldn’t care less, but the training you receive is invaluable. One of the things my training affords me is a consistent level of performance from audition to audition. I learned that through technique at these schools. Consistency of quality auditions is the key to booking jobs. You can’t have too many off days. What is the Princess Grace Acting Scholarship and how did you win it? What kind of doors did it open for you? DB: Princess Grace Awards are given out by the Princess Grace Foundation (Princess Grace of Monaco) to honor artists who show excellence and promise in the disciplines of theater, dance, choreography, and film. I was picked in 1993 as the student award recipient for that year. Prompted by a professor, we submitted an audition tape plus a lot of paperwork and I won. It paid for my third year of grad school. It was a wonderful blessing. Tell us about your work with El Teatro Compesino. DB: In my third year of grad school, I got the opportunity to audition for an Octavio Solis play called ‘Prospect’ that was being produced by El Teatro Campesino. I was selected to play the lead role of ‘Scout’ and the school allowed me to do it as my externship that year. It was a great experience. DB: When I moved to LA I worked as a waiter at the Red Lobster in Beverly Hills. Thank God I could act, because I was a lousy waiter. I worked there four months until I got my first film. It was called ‘Infinity’ and it was directed by and starred Matthew Broderick. After that movie, a friend of mine got me a job a UCLA as a research assistant. The job was basically to hang out in the waiting rooms of clinics in South Central LA, approach people and ask all kinds of personal question and determine if they would be good candidates for the research study. I worked there for about a year until the study ended. Since then I’ve supported myself solely from my craft. What are some of the TV shows and films you have worked on and what are some of the ‘types’ they book you for? DB: I have 53 television titles and 14 film titles on IMDB. Some of those include NYPD: Blue, ER, The West Wing, The Mentalist, Heroes, Medium, CSI: NY and the HBO miniseries Generation Kill. I book a lot of roles for doctors, lawyers, cops and, lately, dads and detectives. Which platform do you prefer the most: stage, screen, or TV? DB: I prefer film. I think most actors do. There is generally a lot more time to shoot scenes in film. It takes time to develop a character, etc. Although lately, there are a lot more interesting scripts being done on TV than in film. Breaking Bad, Sons of Anarchy, shows like that. I think HBO started that trend with The Sopranos.Drama is, by far, my favorite. I still like being funny and making people laugh but I just find that in drama I feel very at home. It resonates with me a lot easier. What was the first time you realized you were famous? DB: The first time a stranger stopped me in the mall was pretty shocking. I usually get stopped for my arc on NYPD: Blue. People who stop me and loved that show feel like they know me as a member of their family. That was a very special show to a lot of people. How did you meet your wife? How hard is it for two working actors to raise a family in Hollywood? DB: I met Maria working on a staged reading at the Mark Taper Forum. It was called ‘The Seductions of Johnny Diego’ – I played Johnny Diego and she was one of my seductions. It was written by Guillermo Reyes and it was directed by Tony Plana. Within ten days, we were madly in love and still are! It is difficult to juggle schedules with two working actors, especially with this current trend of leaving town for most jobs. We make it happen. We put our family first in every decision. That’s the only way to make it work. It comes with some sacrifice but at the end of the day we have each other and that’s all that counts. Tell us about this very special episode of Grimm. I understand this is the first time Telemundo will re-broadcast. DB: Yes. It will air on NBC, Telemundo and Mun2. The story deals with the legend of ‘La Llorona.’ I play a father whose son is taken by her. We spend the episode searching for my son and La Llorona. It’s a really action packed episode and will have you on the edge of your seat. All my dialogue is completely in Spanish. One of the regulars is fluent in Spanish and her character serves as my character’s translator. How difficult was it doing the whole program speaking Spanish? What is your highest hope for this episode? DB: It was not that difficult because the Spanish was written beautifully. So many times, if you get Spanish dialogue it’s written horribly and you end up having to translate on the fly. That can be difficult. But this was a joy to work on. My highest hope would be that the episode gets incredible numbers, NBC capitalizes on it to create more Latino characters and that there is more work for Latino actors. That would be amazing. Do you think your career has been limited because of your ethnicity and/or moral posture? DB: Early on in my career, I turned down a lot of stuff because it was stereotypical. Had I taken some of that stuff, my career would have moved further along at a much faster pace. However, I would not have been happy with my decisions. There are certainly not as many roles as I would like there to be for me to have the opportunity to work on – but I try not to ‘live’ in that. I try not to spend my energy getting upset about that. I focus on what is in front of me. I focus my energy on getting the work that IS available. What are the kinds of parts you would like to play? What would be the perfect project? DB: I would love to play a detective on a television series who investigates crimes. I would like it to shoot in town so I could be close to my family. That would be ideal for me. What advice would you give to young actors who are just starting out? DB: Get trained. Learn your craft. Learn what acting is and how to do it well at a consistent level and you will always work. When it’s all said and done, 50 years from now how would you like to be remembered? What would you like your legacy to be? DB: I would like to be remembered as a guy who worked really hard at what he loved and sometimes did it pretty well. A guy who always enjoyed what he did and treated people with respect and dignity as he did it. I would also like to be remembered as a good father and husband who was not defined by Hollywood, but tackled Hollywood on his own terms. That would be nice.